Due to the economy, so many people have become accidental entrepreneurs. Bullet is a bootstrapped online Irish accounting and payroll application that is already disrupting accounting in the SME market and is currently fixing a very broken business sector. We have done a number of talks at startup incubators (NRDC, StartupBootCamp etc), and they find our story and product engaging, and empowering. 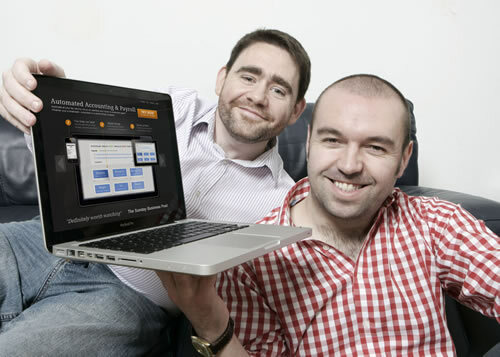 Bullet (https://www.bullethq.com) is Ireland’s first automated accounting and payroll solution for the SME market, meaning it generates all the customer’s tax returns when they’re due, with no training needed. This allows its customers to remove their accountants and reduce their accounting fees, saving them €1,500. The web based solution includes a free iPhone app for tracking expenses by snapping photos of receipts, and mileage using the iPhone’s location finder. Bullet will launch at DublinBeta(www.dublinbeta.com) on Monday the 30th of April. DublinBeta provides a free and accessible network for entrepreneurs to demo their new products to investors and the Irish tech community. It’s underground approach is what attracted Bullet to use Dublin Beta as a platform to launch from. Dublin Beta is a clear example of the community supporting the community. 1) Bullet disrupts the accounts software market, with an innovative business model and fresh approach to product development. The products user interface was designed separately from the accounting backend to ensure a simple, engaging, and fresh user experience. 2) Pre launch Bullet has signed up over 250 users in one month, and growing. Explosive for an accounting product. 4) Bullet’s focus is to remove the accounting fee for businesses and reduce their tax bill, by providing a solution that any young company can use. The product is highly automated and once invoices, expenses are inputted and salaries paid the product will automatically generate all the relevant tax filing with not accounting knowledge needed. 5) Bullet is the first company to utilise the iPhone’s location services to track and calculate mileage while on the go. DublinBeta (http://dublinbeta.com/), like its counter parts in San Francisco, Boston, New York, Seattle and Boulder, provides a free and accessible network for entrepreneurs to demo their new products to investors and the Irish tech community. It’s underground approach is what attracted Bullet to use Dublin Beta as a platform to launch from. Dublin Beta is a clear example of the community supporting the community. If you have any questions or would be interested in arranging and interview please contact me on the below numbers.